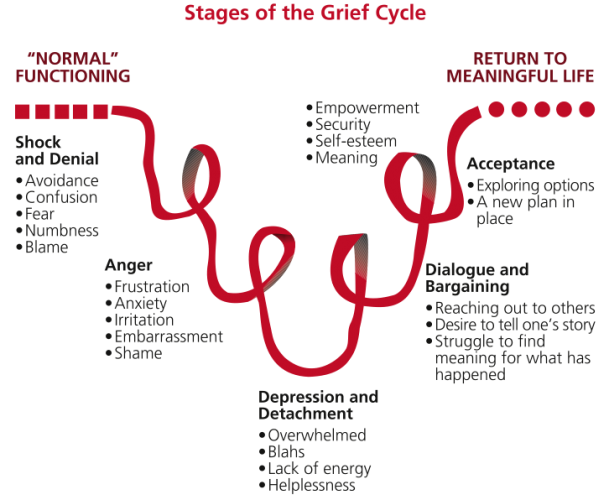 This entry was written by focusmediation, posted on December 10, 2013 at 1:05 pm, filed under Family, Mediation, Separation and tagged ADR, Alternative Dispute Resolution, Dispute resolution, Divorce, Dr Kübler-Ross, Grief, Mediation, Relationship Breakdown, Separation. Bookmark the permalink. Follow any comments here with the RSS feed for this post. Post a comment or leave a trackback: Trackback URL. Thanks! I agree that understanding where one stands in the cycle of emotions is crucial!